AVS try to offer market leading electric actuators and offer two main brands from stock, the hugely flexible J+J range, and the compact AVA actuator that offers big benefits from such a small housing. AVS can however supply a wide range of electric actuators and electric valves so if you are unable to find the actuators or electric actuated valves you require on this web site, please just ask. Electric actuated valves use electric actuators to drive them open and closed. Electric valve actuators typically convert high speed low torque output motors into low speed high rotary torque output that drives the valve via a gearbox. 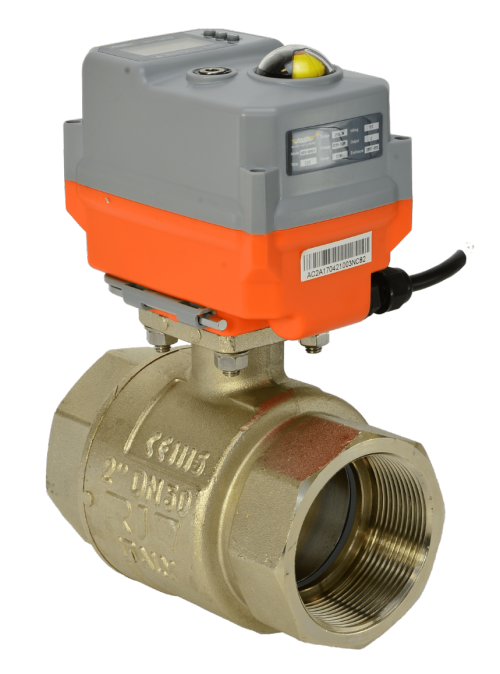 The most common electric valves are electric actuated ball valves and electric actuated butterfly valves, although electrically actuated gate valves or sluice valves are often used in larger pipe sizes. Electric ball valves and electric butterfly valves use part-turn rotary electric actuators, whereas electric gate valves use multi-turn linear electric actuators. You can buy electrical actuators and electric valves online with confidence at AVS. Actuated valves comprising of a valve and electric actuator are often described as a motorised valve or electric valve as it is more clearly defines the type of actuator being used. With the levels of sophistication in many current electrically actuated valves, they are also called electronic valves. 2 Way motorised valves either isolate the flow in on-off valves or where the automatic valve is to provide flow control, proportional control creates a modulating valve in which the opening of the valve is proportional to an analogue input signal generated by some form of process controller. Far more common in terms of flow control are 3 way motorised valves which change the direction of flow in pipes. 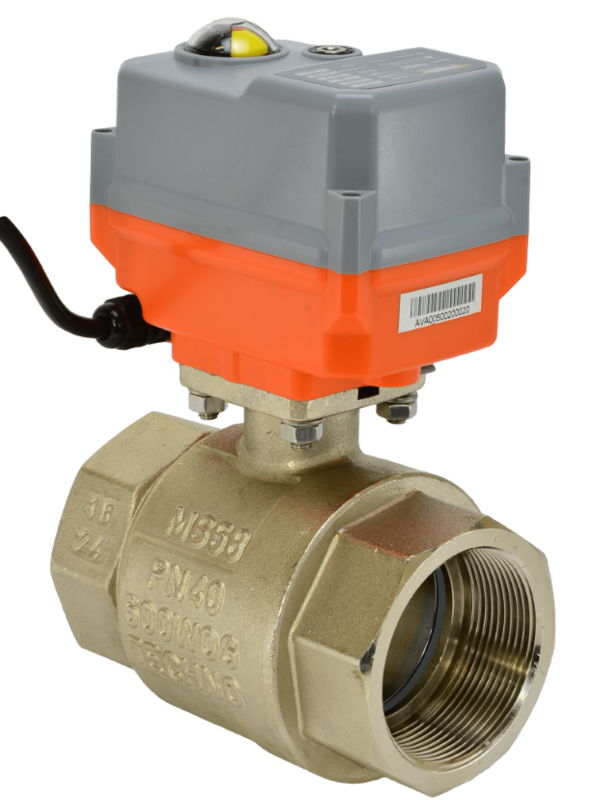 There are generally two types of 3 way electric valves, the L port smart valve which simply diverts flow either to the left, or right, or the T port motor valve that can, depending on the configuration, either divert or mix the flow. 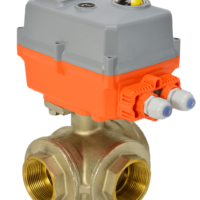 Both of Actuated Valve Supplies’ standard electronic valve actuators are suitable for use in either a 2 port motorised valve assembly or as an electric 3 way valve as they are both smart electric actuators. Each can be configured in a variety of ways to produce an electrically actuated valve that will provide the flow paths required, in some cases this requires that the 3 way valve actuator be set as reverse acting, but this is not a problem for either the jj electric or AVA actuator. All valve and actuator assemblies supplied by actuator suppliers AVS are dry bench function tested at their UK actuation centre based in Hull, ensuring that their customers can buy electric valves with confidence from valve and actuator company AVS.